There was something peaceful and heartwarming about sitting on our front porch while Dad taught me how to beckon a conversation with a covey of quail on the mountain. The feeding or courtship call is a whistled sound … it resembles saying bob white, bob bob white with an inflection at the end — like that sweet sounding little bird pronounces his own name. After practicing a couple of wooings, I could ohear the clear pitch of an accepting response. 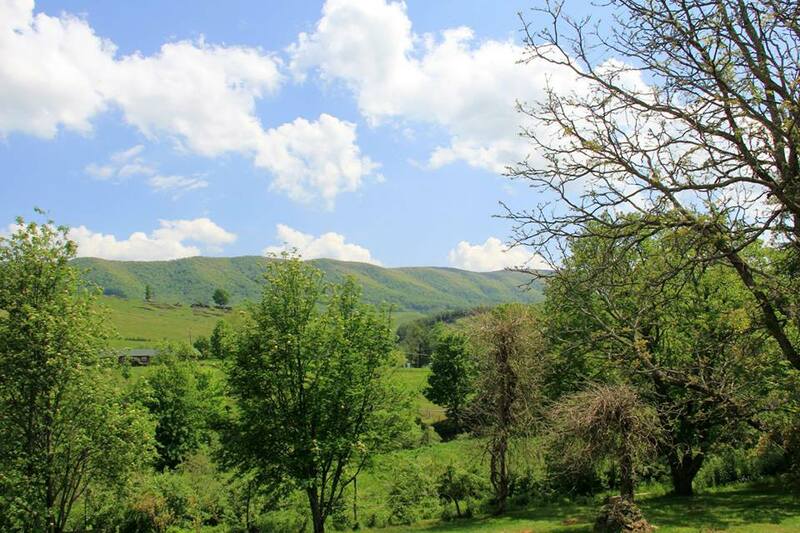 Along that stretch of 460 west of Bluefield, Virginia, it used to be quiet and a little breezy — even restful most days except during Thanksgivings or large family gatherings. We shared more meals in that little frame house than I can count because that’s how Mom showed love. She didn’t dote on us kids or spoil us rotten, she fed us. Like her sister Aunt Joella, she always prepared meals from scratch that were the best you’ve ever eaten. Meat and vegetables, deviled eggs, macaroni salad, homemade yeast rolls, congealed salads and dessert; always delicious and always enough for an army. By God’s design, we’ve said our goodbyes to our parents and now, on this day, we close the front door for the last time and transfer the deed of their home to another. I believe the new owner is just as excited to make this her home as Mom and Dad were 52 years ago. May she sit on the porch in the cool of the evening and converse with the quail, and may her home be filled with family, friends and love for many years to come. And — I hope she enjoys telling the story of a man who “bought a house and rode it home”. 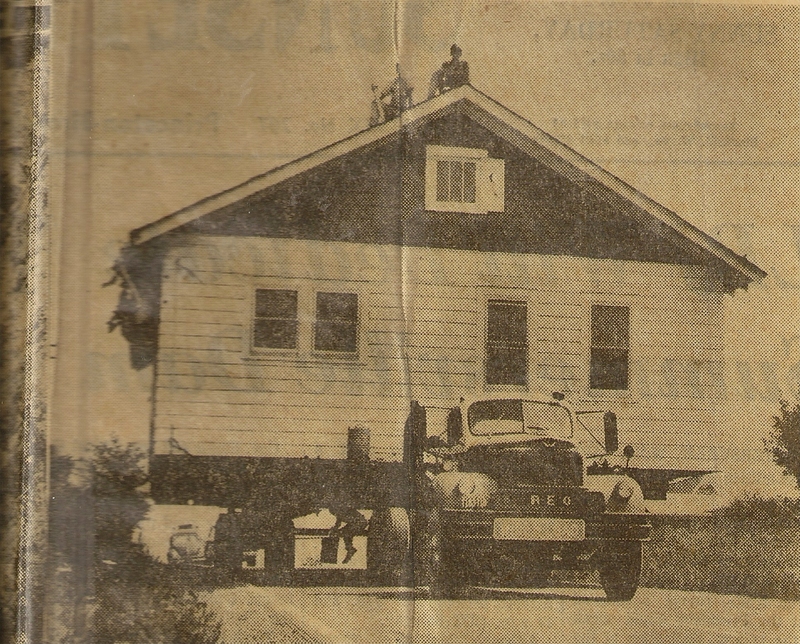 In the fall of 1966, the railroader “bought a house and road it home“, or at least that’s how Dad described it. He and Mom, my brother Larry and I lived in a single-wide trailer on Route 460, west of Bluefield, VA when Virginia DOT upgraded the highway to accommodate 4-lanes of traffic. In doing so, the state purchased many homes/land along the south side of the old 2-lane road for their right of way. Those homes were then sold at auction to the highest bidder then each winner had to relocate the house to another location. I remember Bob Chapman from Bank of Tazewell County purchased two or three homes and relocated them just west of Bailey Switch. Three more houses, including a river rock two-story, were moved to an area west of Shawver’s store, just over the creek. The railroader purchased his small frame house that had been built on land across from the White Kitchen Skating Rink. To the best of my memory, he paid about $400 for the home. Other expenses included moving the structure, constructing a foundation and basement on the new lot, and all the additional expense of plumbing/wiring, etc. All in all, – that was a great deal! The area’s afternoon newspaper, the Sunset News ran a feature story on the event and published the picture above. Dad always got a kick out of saying, “I bought a house and rode it home”. He literally did. At age twelve, I remember seeing him on top of the house as they rolled down the road. He and several other men had sticks in their hands to lift the power lines out of the way. They held the lines high while walking the length of the house as the house on a big wheeled truck moved slowly down the two lane road. At last Mom was pleased to finally have a house to make her very own. ← Biscuits and Gravy – what could be better! Thank you Jane. It’s a wonderful heritage we share. I appreciate your commenting.